Dave and I have been pondering a move to Mexico. We've been on the road for six years and the idea of Local Living in Playa del Carmen is very appealing. We love Canada, but the winters are brutal and we've turned into tropical weather lovers. Buying a place in Mexico has always been appealing to us. 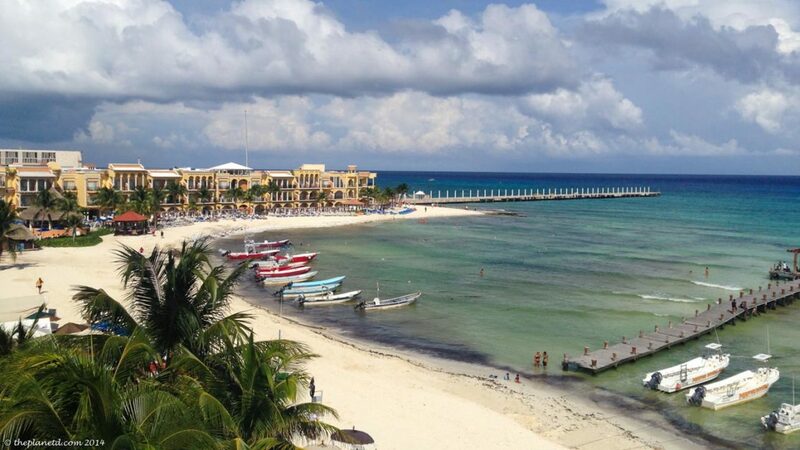 Cancun is a quick flight from Toronto and Playa del Carmen is just a short drive down the highway. We have been to this part of the world so many times, we feel comfortable here. It is somewhere that we could call home. It has beautiful beaches, all the conveniences of a city in Canada and the weather is exactly what we like. Plus it's affordable and we can get so much more for our money here than in Toronto. Maybe we could go local! That's why having the chance to stay in an apartment in Playa del Carmen with HouseTrip for a few days was so appealing. There are many things to consider when renting an apartment, and before we even think of buying a place, we plan on renting a spot for a few months to make sure it is indeed somewhere we want to make our home base for years to come. For the past couple of years, we've been staying in a lot of apartments with HouseTrip. As part of the HouseTrip diplomats program, we sampled many apartments all around Europe. It was an interesting change to see what an apartment was like in Mexico. It turns out, our El Taj Apartment was better than your average vacation apartment rental. There is so much to love about apartment rentals when traveling. We can go to the market, do some shopping and cook at home. Several people can stay in one apartment splitting the cost. Great for families and friends. There is often a dishwasher for quick clean up. 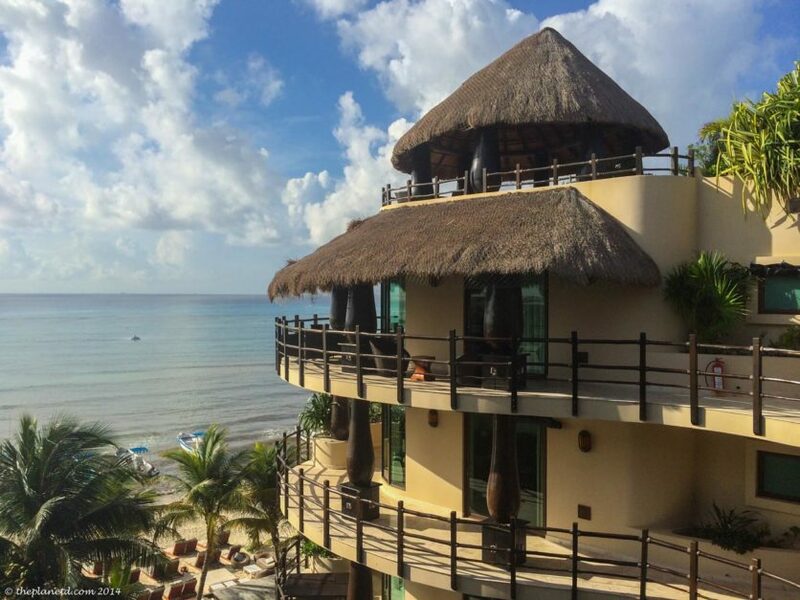 What we enjoyed about El Taj apartments in Playa del Carmen was how it felt like a resort in all aspects. There is a restaurant, beach club, front desk, and even bellhop, but inside it was most definitely a luxury apartment. All the amenities we could want for a relaxing vacation were at our fingertips. Check in was so easy. Usually, we have to plan ahead to meet with the owner of the apartment to pick up and drop of keys, but at El Taj, there is a reception that offers you a bottle of water while you sit on comfy chairs in an air-conditioned room while the paperwork is put in order. After checking in we took a walk around the grounds and fell in love with the location. 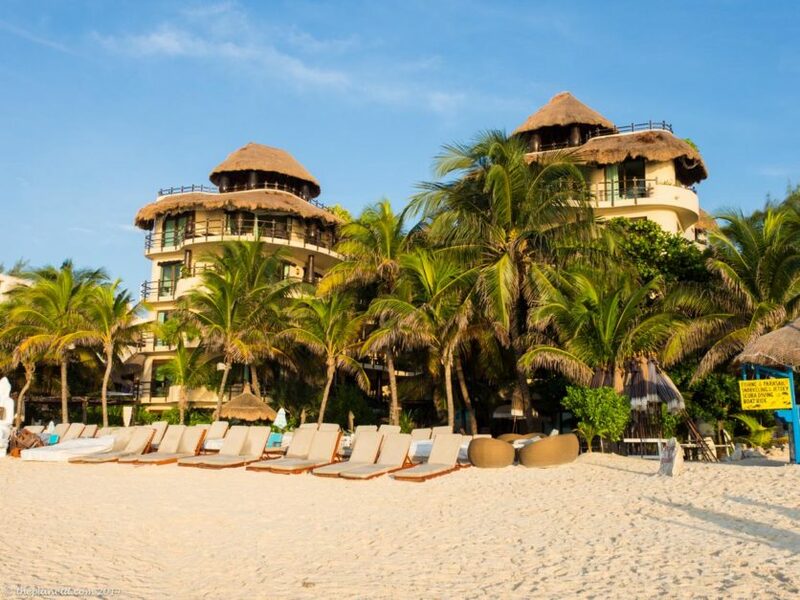 Located right on a sandy beach, El Taj is truly paradise. Residents have access to the private beach club where you receive complimentary beach beds in a private area. By staying here, you have access to them whenever you want. If you have an aversion to sand, you don't have to go to the beach because there is a pool right in the middle of the hotel. It's a beautiful setting with statues and waterfalls and there are even jetted seats right inside the pool on the second tier overlooking the entire complex. Grabbing a margarita and sitting in balmy water for an afternoon is just like heaven. As we contemplated the type of accommodation we'd like to buy in Mexico, this fit the bill. As people who travel most of the year, an apartment that feels more like a hotel but has all the amenities of a hotel would suit us well. We're definitely looking for a place to hang our hat and have all our belongings in one place. It would be nice to have a place to call home, but to not have to do a lot of work or upkeep. El Taj is way out of our price range to buy, but to rent for a week it is quite affordable. Especially when you can split the prices between 3 or 4 couples. After spending time in a vacation apartment rental in Mexico, we can actually see ourselves buying our own apartment there. Our luxury four bedroom apartment was beyond our individual needs, but for our HouseTrip group of travel bloggers spending time together before a conference, it was fantastic. We all had our own bathrooms and a huge kitchen to eat breakfast and even cook dinner. The amazing thing about staying in an apartment is you can really delve into local experiences. 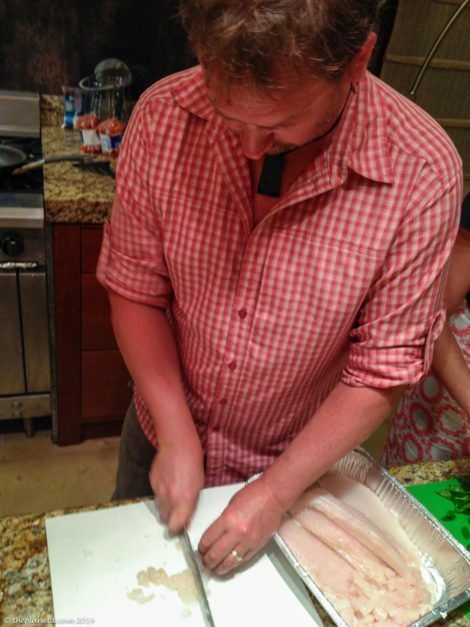 We had local Chef Alexandra Iserte Garcia come to our kitchen to cook authentic Mexican food with local ingredients. 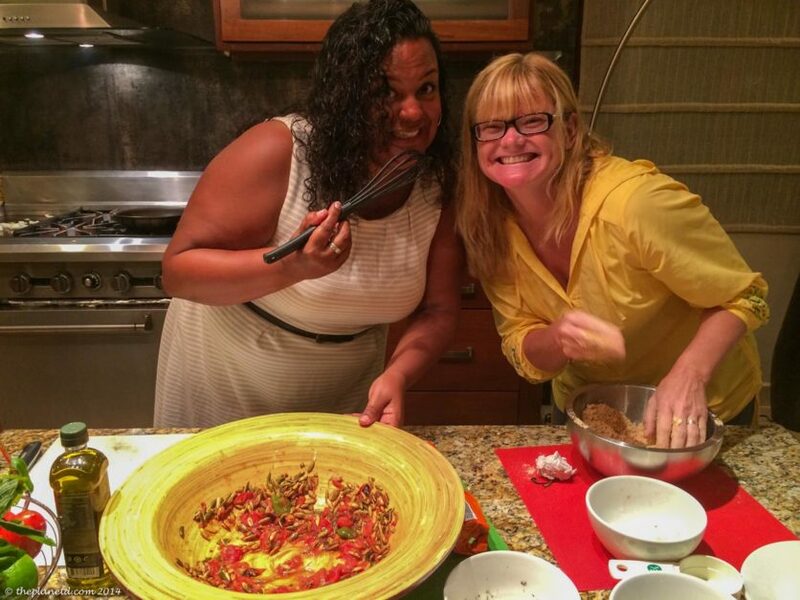 We not only learned about food, we learned about culture, local living and we helped prepare the meal! And then had the added bonus of opening our own bottle of wine and eating out on the terrace. It was a quick clean up thanks to our dishwasher in the apartment, and with the hotel like services at El Taj, we had maid service the next day. 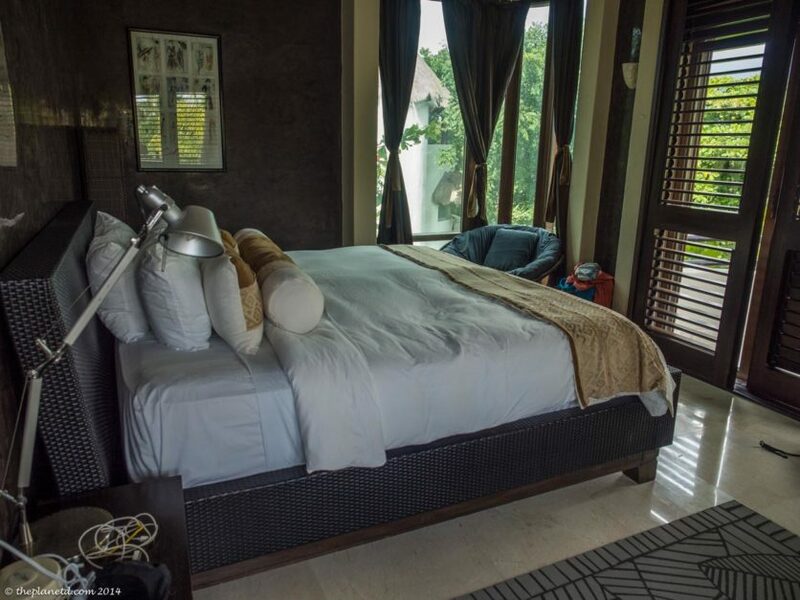 For us, the advantages of staying in an apartment have always been about creating a more authentic local experience and in Playa del Carmen we felt that at El Taj. Even though we were close to all the action, we still had enough peace and quiet to feel like we were in our own little sanctuary. With a rooftop cabana, private jacuzzi, several patios and sitting areas, it was a perfect place to sit back, relax and escape everyday life. 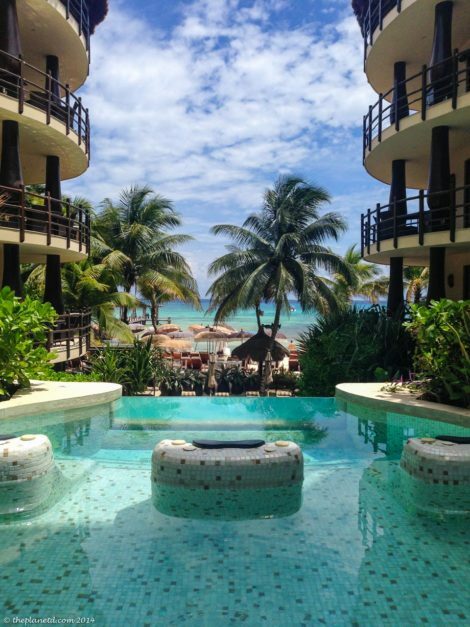 5 Responses to "Going Local in Playa del Carmen"
What a beautiful place. I would agree that there are advantages to staying in an apartment vs. a hotel. But it is also nice that this place offers all the amenities of a hotel also. It is very pretty and looks romantic. I have been thinking of somewhere to go with my girlfriend and this place looks really nice. Hi Todd, thanks for the comment. It’s true, the amenities are a good thing to have. We find apartments are great and a super way to save money and feel more local, but sometimes you want that spot with a concierge, maid service and a pool. It’s a great thing! 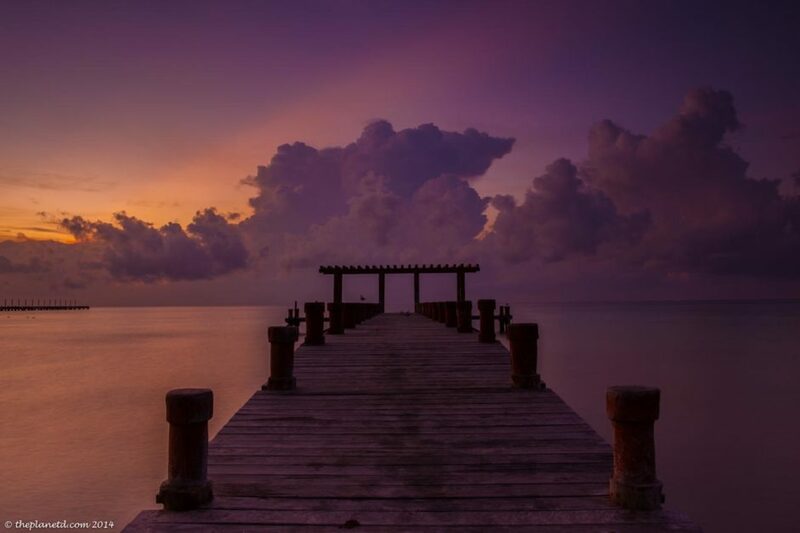 Enjoy, it’s a really nice part of Playa del Carmen. The apartment looks fantastic. I know what you mean about the cold weather. I would love to be in a position where I live in the UK near family for 4 months of the year, and live somewhere warm for the rest of the year. That would be my dream scenario. Maybe one day. Great post! My neighbors and I have been talking about HOW to do this for a couples vacation together. Thanks for the great tips. This part of Mexico is so beautiful but so commercialized. It’s good to see beauty can still be found.